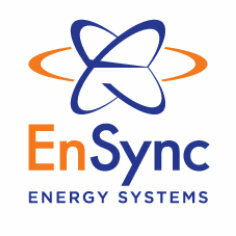 EnSync Energy Systems announced the sale of a 20-year power purchase agreement (PPA) with Nuuanu Terrace to an undisclosed investor. The PPA offers the Honolulu apartment building with three dozen units affordable energy and cost savings during the 20-year agreement period. This photovoltaic PPA is the first of a two-part energy strategy rollout for the apartment building, with plans to finalize an additional PPA with EnSync Energy to install a solar water heater. EnSync Energy’s tailored project development and financing support enables investors and local energy consumers to commit to clean energy cost savings while furthering Hawaii’s state goal to achieve 100 percent renewable energy by 2045. EnSync Energy has contracted 25 commercial projects in Hawaii, which will account for more than $35 million in electricity sales over the terms of the agreements. As project developer, EnSync Energy’s distinctive engagement methodology encompasses load analysis, system design consulting, and technical and financial modeling to ensure energy systems are sized and optimized to meet objectives for value and performance. Proprietary direct current (DC) power control hardware, energy management software, and extensive experience with numerous energy storage technologies uniquely positions EnSync Energy to deliver fully integrated systems that provide for efficient design, procurement, commissioning, and ongoing operation.